Products are metal base (stainless steel) with high quality plating (It will last for a long without tarnish. All are nickel and lead free. 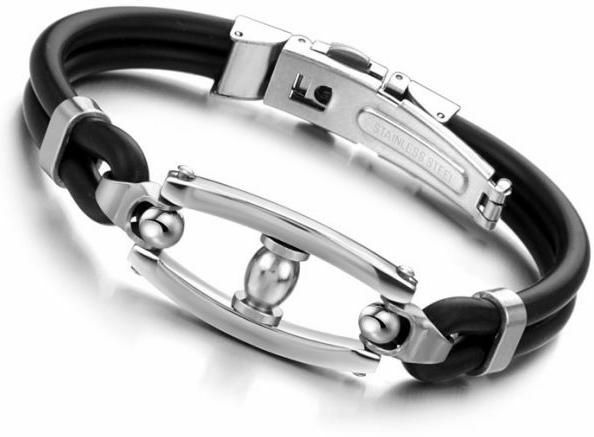 The Men’s Silicone Bracelet opens with a hidden interlocking push-button clasp. Squeeze buttons and lift to open. One Size Only. Material: 316L Stainless Steel treated with Chromium for extra protection. Also With Genuine Silicone Adjustable Strap in Black color.